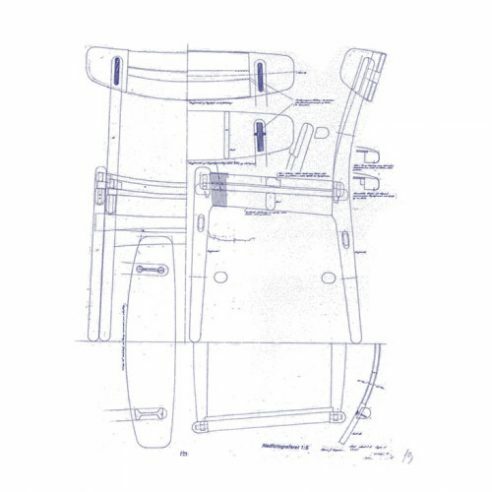 CH23 ‘Side Chair’ (dining room chair) was one of the first pieces of furniture Wegner designed for Carl Hansen & Søn in 1951 after entering a binding agreement the previous year. First presented at the Fredericia Furniture Fair alongside CH25 the easy-chair variant of CH23. CH25 was a fixed, more industrial version of the more sophisticated Folding Chair with woven cane (PP512) Wegner had designed in 1949.